As Singapore is part and parcel of South-east Asia, its relations with China have inevitably been influenced by China's changing relations with the region. 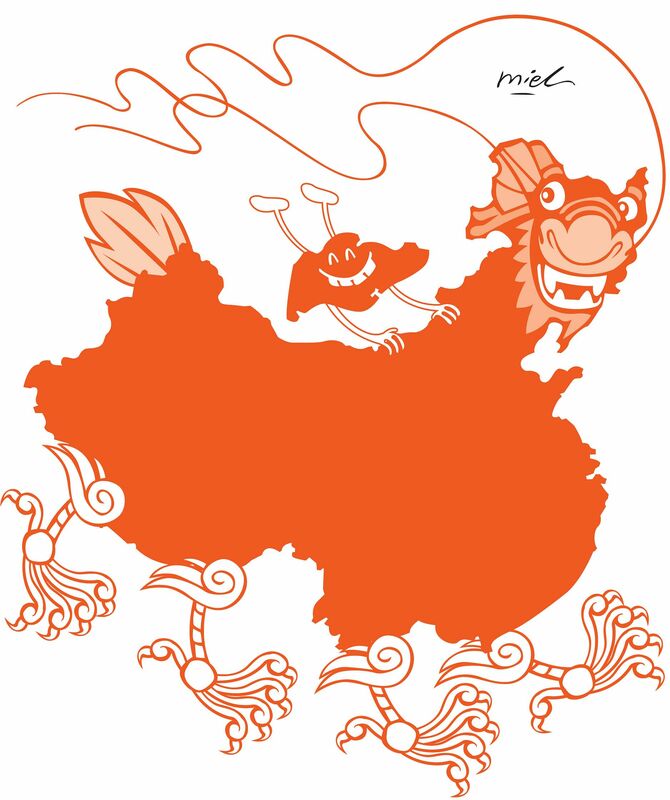 Historically, China's overall relations with the region, traditionally called Nanyang (South Sea), have been extensive and deep-rooted on account of geography and migration. Chinese historians can trace China's early relations with the region back to the Tang Dynasty (6th-10th centuries). China had operated maritime activities along its coast and in Nanyang well before Admiral Zheng He's expeditions (1405-1433). Such may well be the origins of today's Maritime Silk Road. Its burgeoning ties with Nanyang were subsequently boosted by successive waves of migration, particularly in the 19th century. Following the establishment of the People's Republic of China in 1949, the relationship assumed new dimensions, with complex political and ideological factors coming into play. This gave rise to more than two decades of Cold War relations between the two sides. Of the 10 South-east Asian nations which today constitute Asean, Indonesia was the first country to establish formal diplomatic relations with the People's Republic of China but these were disrupted after the 1964 coup. It was soon followed by Burma (Myanmar). Brunei, Malaysia and Singapore were then still British colonies, while the three Indochinese states of Vietnam, Cambodia and Laos were under French rule. The Philippines and Thailand, both independent nations, were members of the American-led anti-communist South-east Asian Treaty Organisation (Seato). The Cold War thus froze most of the normal contacts and exchange between China and the region. Following US President Richard Nixon's visit to China in 1972, international detente finally spread to the region, thereby removing the Cold War obstacles to their conduct of normal relations. Individual South-east Asian states soon started to chart their own course of normalising ties with China. The "ping-pong diplomacy" also played a positive role in the initial phase, as China, then, often sent its table-tennis teams to individual Asean states as a vanguard to thaw relations. In May 1974, Malaysia, under Prime Minister Abdul Razak, became the first Asean state to normalise diplomatic relations with China. A year later, President Ferdinand Marcos of the Philippines and Prime Minister Kukrit Pramoj of Thailand separately also made their historical journeys to Beijing to formalise their diplomatic relations. Singapore soon had de facto ties with China, following their exchange of trade representatives in 1981. Subsequently, Singapore declared that it would be the last Asean country to establish full diplomatic relations with China, in deference to Indonesia's diplomatic suspension. However, Singapore's "half-relations" with China had actually not hampered the normal progress of economic links. Their two-way trade grew rapidly, in part because of China's economic reform and open-door policy. Politically, their relationship also picked up very fast, especially after then Prime Minister Lee Kuan Yew's first official visit to China in 1976. Mr Lee was the second last foreign dignitary who was given an audience to meet with ailing Chairman Mao Zedong. A few months earlier, Singapore's then Foreign Minister S. Rajaratnam, in Beijing to pave the way for Mr Lee's visit, also had a short audience with then Premier Zhou Enlai on his sick bed. What was even more remarkable was that Singapore was the only country in the region whose trade and business with China had never been disrupted, not even at the height of the Cold War. For many years, bilateral trade was carried out in the absence of a formal diplomatic framework. This clearly attests to the pragmatic attitude that prevailed on both sides from the very start and endures to this day. Singapore-China relations grew by leaps and bounds after Mr Deng Xiaoping's economic reform in 1978. 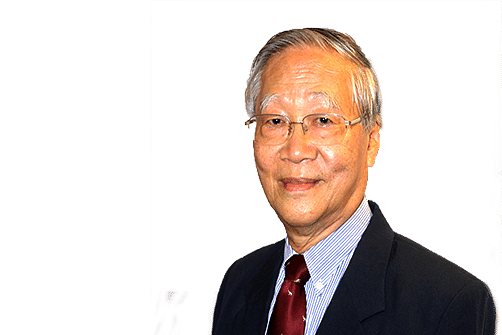 Singapore, as a multiracial society and an industrialised city-state, stood to enjoy certain political and economical advantages that were not available to its neighbours. To start with, several Asean states had many built-in discriminatory policies against their ethnic Chinese minorities, which often caused Beijing missions a lot of "political headaches" in dealing with local Chinese. A case in point is the recent incident of the Chinese ambassador to Malaysia raising the highly sensitive issue of racial discrimination against local Chinese. By comparison, Beijing's diplomatic mission and Chinese officials have all along been socially and culturally much more comfortable in Singapore. They can easily deal with any racial group, and Chinese state concerns can do business freely with anybody and any corporation. Of far greater importance is the fact that the Singapore economy is highly complementary with China's on many fronts, from manufacturing to services. Singapore as a city-state can easily do business with any city in China or any sector of the Chinese economy. In contrast, China's overall economic relationship with most Asean economies has had both complementary and competitive aspects, especially in the early phases of China's economic reform. While China had great import demand for the region's primary commodities and natural resource products, its exports of labour-intensive products tended to compete head-on with similar goods from Asean, not just in their home markets but in third-country markets. More seriously, the opening up of China had diverted much foreign direct investment from South-east Asia to China. Beyond these economic fundamentals, Singapore's unique and special relationship with China, from the very start, owed a great deal to the foresight and determination of their political leadership, especially the two political giants of the times: Singapore's founding father Lee Kuan Yew and China's architect of economic modernisation Deng Xiaoping. Mr Lee and Mr Deng had established strong rapport since Mr Deng's first state visit to Singapore in 1978. They shared the same chemistry for being pragmatic and straightforward. Mr Deng's famous adage: "It does not matter if the cat is white or black, it is a good cat so long as it can catch mice" would no doubt be shared by Mr Lee. Hence their mutual respect for each other and also their strong common bonds. Mr Lee had made no bones about his admiration for Mr Deng, having described Mr Deng as "a giant among world leaders" and "the most impressive leader I have met". Mr Deng had also shown his trust and admiration for the Singapore system and its leadership. In his Nanxun (Southern Tour) speech during the most critical phase of China's economic reform, Mr Deng singled out Singapore as a model for China's economic and social development, saying: "We must learn from Singapore." This immediately sparked off a great leap forward in China's all-round relations with Singapore. Since then, almost 50,000 Chinese officials at different levels have been sent to Singapore for training or for observation field trips. China would not trust any other country to train so many of its officials. Even more unusual was the setting up of the two large government-to-government development projects: the Singapore-Suzhou Industrial Park and the Tianjin Eco-City; a third one in western China is expected to be announced soon. This has been unprecedented for China as it has never partnered any other country for such large-scale industrial projects on Chinese territories. Not surprisingly, trade and investment between the two countries have since boomed. In recent years, Singapore has become China's largest investor (not counting Hong Kong and Taiwan), with a cumulative total of US$72 billion (S$101 billion). Singapore and China have already signed a free-trade agreement. Last year, China overtook Malaysia as Singapore's leading trade partner. In finance, Singapore has become the second largest offshore market for the renminbi after Hong Kong. For tourism, China is Singapore's second largest source of tourist arrivals. Even more amazing, for a country with a total population of only 5.6 million, Singapore sent one million tourists to China last year. Singapore-China relations over the past 25 years having grown rapidly to become so substantive and so broad-based, the hard part is clearly how to keep them so. There are new obstacles and uncertainties. From the start, the match between a small city-state of 5.6 million people and a continental power of 1.3 billion was already an asymmetrical one. In 1990, China's GDP was only 10 times larger than Singapore's. Today, it is more than 30 times larger. The future will clearly be even more asymmetrical as China's relentless growth is compounded by speed and scale. In the early days, Singapore could be a catalyst for China's trade relations with the region as Singapore was a convenient base for China's regional operations. Today, China has developed its own linkages and conduits across many continents. In fact, China is already operating regionally and globally in pursuit of its "big-power" game. It would be unwise for small countries to stand in China's way and far better for them to capture some benefits from China's overseas expansion such as the One Belt, One Road projects. How will Singapore position itself to meet a rising China in future? Admittedly, this is a big challenge post-Lee Kuan Yew for Mr Lee was highly respected in Beijing, and Chinese leaders would eagerly seek wise counsel from him on regional and global affairs. Unfortunately, there is no comparable successor to fill his shoes. That means the loss of an experienced and steady hand to guide future endeavours in China. Accordingly, Singapore needs to adjust its strategies and tailor its aspirations for its China ventures. To be sure, Singapore still has a lot of soft power and comparative advantage pertaining to its public administration, social governance, legal experiences as well as certain technological niches that can meet China's demand, especially at the local and provincial levels. So long as Singapore continues to adapt, it should stay relevant to a rising China.